Here is a selection of dressings, some with an Indian flavour. You can experiment by adding various fresh herbs like coriander, dill, parsley, chives to a dressing. You can add finely chopped capers or gherkins, very finely chopped spring onions or red onions. Try adding various spices like chilli powder, garam masala, Cajun spice mix. Add finely grated garlic. Green chillies taste delicious in small quantities. 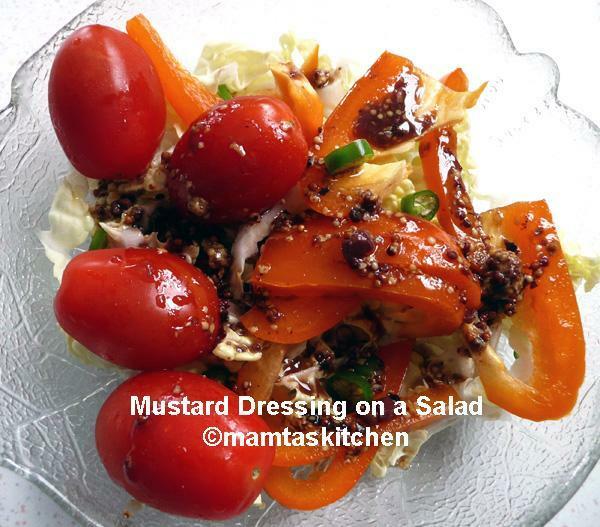 Dijon or other type of coarse mustards also taste good in various dressings. I sometimes use one of the ready-made dressing and liven it up with any of the above. Balsamic/wine/tarragon vinegars are good for thinning very thick dressings. 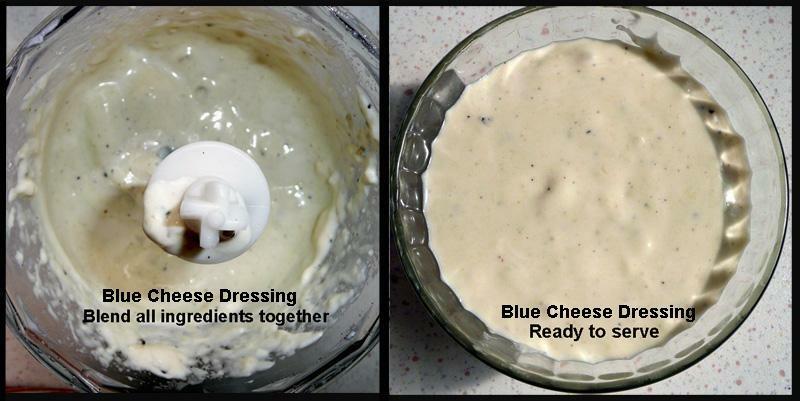 There is no limit to what you can add to a dressing. If you have any special dressing recipes that you would like to share with others, please send it to me via 'contact' link at the top of this page. Coriander and Mint Chutney Dressing. For a delicious, fat free dressing, try mixing this chatni dressing with any finely chopped mixed salad or with sliced onions. 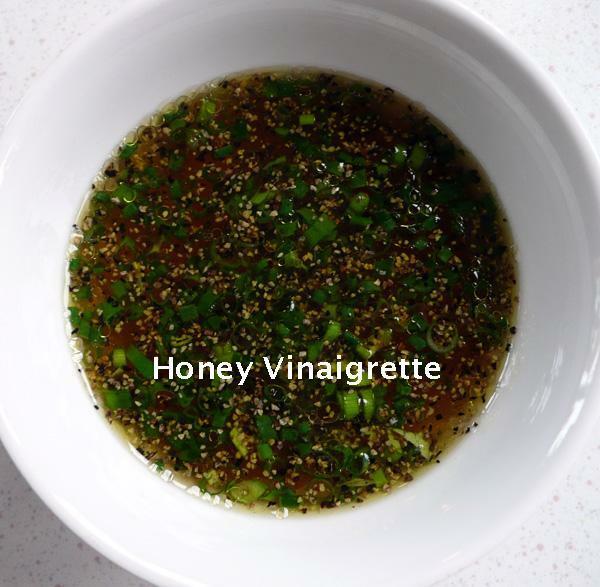 Fresh Herb Vinaigrette; 1/4 cup olive oil, 1 cup light balsamic vinegar, 1 tsp. salt, 1/2 tsp. coarse black pepper, chopped chives/coriander/mint or other herbs of choice and a little sugar. Place in a jar and shake to mix. Mango Pickle Dressing, excellent in mixed salad like Kachumbhar. Simply Mint: Just add minced mint leaves and salt to olive oil. Tamarind Chutney, it is nice with sliced onions and other chopped salads. 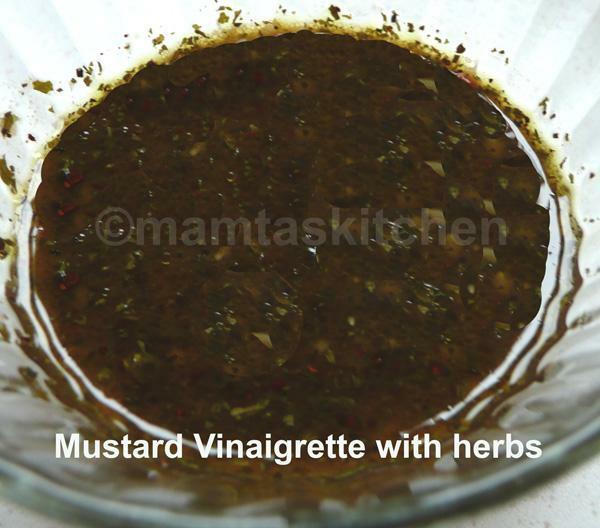 Vinaigrette, Indian-fat free and very spicy! 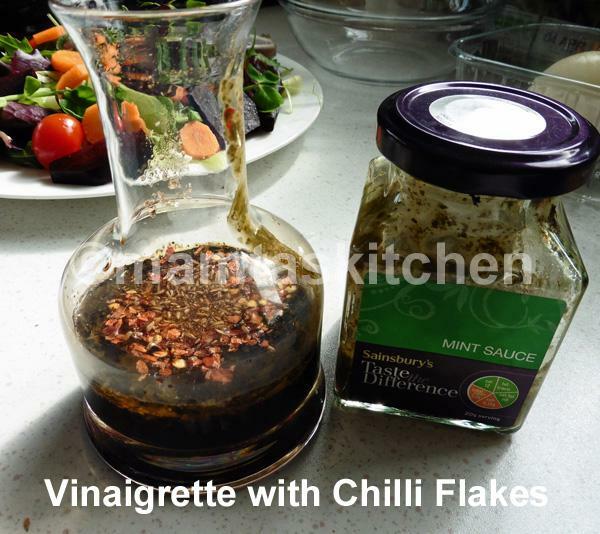 Vinaigrette With Garlic Granule; olive oil, a good balsamic vinegar, salt, pepper, chilli flakes and garlic granules. Measure all ingredients into a jar, close lid and shake vigorously until well mixed. Some recipes require the use of a whisk or electric beater, as given.